Описание: Серия практических учебных пособий от издательства Коллинз, предназначенных для отработки ключевых навыков английского языка. Каждый учебник направлен на обучение в определенной области для студентов разных уровней. 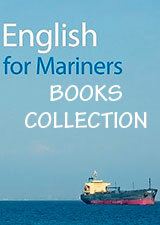 Collins Work on your Grammar - this book is an essential resource for learners who want to improve their English grammar. Each of the 30 units presents a different area of grammar using clear language and examples. This is followed by practice exercises to ensure the learner will remember and be able to use what they have learnt with confidence in their written and spoken English. Collins Work on Your Phrasal Verbs - a workbook that introduces the most frequently used phrasal verbs in English and shows you how to use them effectively. Collins Work on your Phrasal Verbs is a new practice book for learners who want to increase the number of phrasal verbs they know and be confident in using them. Each unit presents students with a selection of phrasal verbs and clear examples of when and how to use them. This is followed by practice exercises to ensure the learner will be able to remember and use what they have learnt in their written and spoken English. Collins Work on your Phrasal Verbs features the 400 most commonly used phrasal verbs, which have been carefully selected based on Collins Corpus research. It provides plenty of useful practice with authentic, up-to-date examples of usage in context, and is ideal for use alongside a phrasal verbs dictionary such as the Collins COBUILD Phrasal Verbs Dictionary. Collins Work on Your Vocabulary Elementary: Hundreds of words to learn and remember - The vocabulary has been carefully selected based on Collins Corpus research and the experience of our language experts. As a result, this book provides plenty of useful practice with authentic, up-to-date examples of language usage in context. A carefully structured layout and simple illustrations make sure the language is always clear and the book is easy to navigate. Collins Work on your Vocabulary – Elementary (A1) is ideal for self-study or for use in the classroom, and is an essential resource for students and teachers. 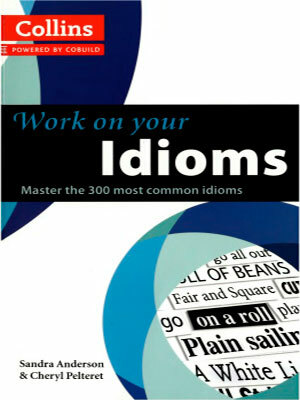 Collins Work on Your Idioms: Master the 300 Most Common Idioms is a new practice book for learners who want to increase the number of idioms they know and be confident in using them. Each unit presents students with a selection of idioms and clear examples of when and how to use them. This is followed by practice exercises to ensure the learner will be able to remember and use what they have learnt in their written and spoken English. Collins Work on your Idioms features the 300 most commonly used idioms, which have been carefully selected based on Collins Corpus research. It provides plenty of useful practice with authentic, up-to-date examples of usage in context, and is ideal for use alongside an idioms dictionary such as the Collins COBUILD Idioms Dictionary. Collins Work on your Accent features: * Thirty-six units on the main consonant and vowel sounds in English * 'What am I doing wrong?' section looks at the mistakes you are most likely to be making based on your native language * Advice on rhythm, stress and pitch * Videos, illustrations and photos demonstrating the correct positions to produce accurate sounds * A DVD-ROM with video and audio clips providing clear native speaker model pronunciation * Extra practice sections concentrating on the most problematic sounds CEF level B1-C2 Suitable for self-study and classroom use..